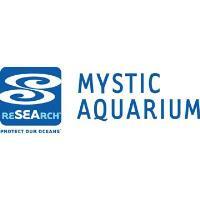 Mystic, CT – As part of commitment to animal care, Mystic Aquarium implements a comprehensive behavioral enrichment and training program that supports the mental and physical health and stimulation of its animals. This holiday season, Mystic Aquarium has created an exciting new way for its friends to support those efforts. The Winterfest “Giving Tree” provides a way to give back to the animals that guests have grown to know and admire at Mystic Aquarium. The “Giving Tree,” located in the Aquarium’s Main Gallery, is adorned with animal-themed ornaments. Guests can pick an ornament to learn how they can donate enrichment or other animal care items to the animal of their choice. A text to donate option is also available. For those unable to spend the holiday with Mystic Aquarium, the Amazon Wish list is accessible by visiting MysticAquarium.org/GivingTree. As part of their daily world-class care, the animals at Mystic Aquarium are offered a variety of enrichment opportunities. Our trainers and volunteers provide them with a stimulating environment that encourages engagement in natural behaviors all while tending to their unique physical and psychological needs. Mirrors, food puzzles, ice treats and balls are just some of the items offered to our animals that instill interest and variety in their daily routines. Guests can also learn more about animal care during Mystic Aquarium Trainer Days, scheduled for every Sunday in January 10:30 am - 3:30 pm. The Giving Tree will be up at Mystic Aquarium through New Year’s Day.